Ah, the good old British summertime barbeque. There’s nothing better, is there? than firing up the BBQ coals and cooking all that juicy meat (and let’s face it, burning it within an inch of its life) with a few beers. Good times. However, although we said charcoals, there’s other options out there. In fact, one of the big debates is over whether charcoal, the one we’re all most familiar with, is best or gas barbecues. While the traditionalist in us would argue that it’s not a real BBQ without charcoal, there’s some great pros to investing in a gas grill instead. Let’s look at this in greater detail. Gas barbecues are undeniably more convenient and quicker to use. However, for those great points in its favour, there’s one area that gas barbecues just can’t compare with charcoal grills – the flavour. There really is no competition, as you just don’t get that distinctive quintessential barbecue flavour when you’re not cooking meat over hot coals. AS many people feel one of the major attractions to barbecues in the first place is the taste, it’s something you seriously must consider. There’s also the primal pride that people get at starting a fire and maintaining it. If you’re after that, you might want to go with the traditional option rather than gas. That’s what you get when you invest in a gas barbecue – a warm and even fire at the touch of a button. That means there’s none of that waiting around for the coals to reach the right temperature. Just as you can with a gas cooker and hob in your house, a gas barbecue can be precisely adjusted, while it’s much harder to do that with charcoals. There’s also less clean-up involved with gas barbecues, because there’s no ash that needs to be cleared away. To the untrained palate and taste buds, it’s been shown that the taste in food cooked on charcoal compared to food cooked on gas is negligible. Therefore, it’s more about personal preference. One thing that should be factored into your decision though, is cost and how often you’re intending on barbecuing food. A gas BBQ initially costs a lot more than a charcoal barbecue. However, if you are intent in spending as much of the summer as you can grilling sausages, burgers and pork ribs on your purchase, gas is a safer bet. Over the course of time, gas costs a lot less than coal. 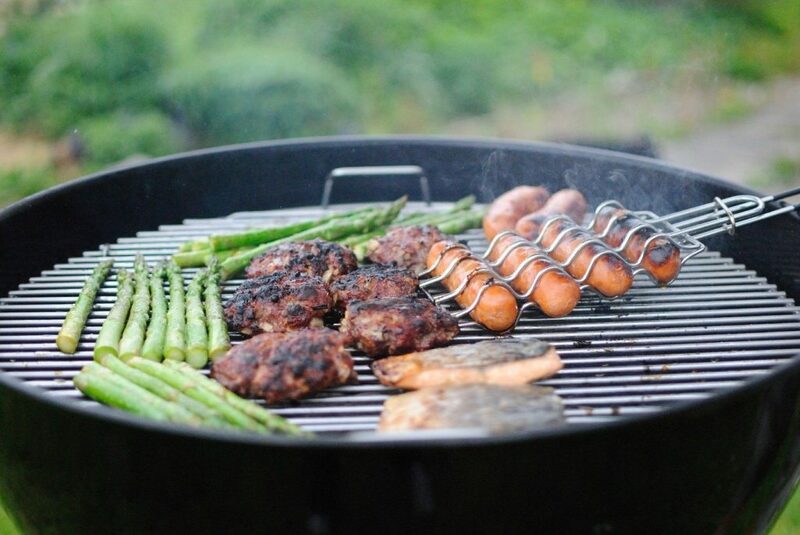 We know the one we prefer, but as a lot to do with barbecues is down to taste and preference, you need to weigh up the pros and cons and the points we’ve outlined above and decide which suits you best.